Do you want a set of nice headphones? Do you want a set of headphones endorsed by Dr. Dre? If the answer to both of those questions is “yes,” then perhaps Beats headphones are for you. The question, as it is with many luxury brands, is whether you want to spend $300 for a pair of headphones, and why. Our rocking colleagues down the hall at Consumer Reports just published their headphones tests, and we were surprised to learn that they think Beats sound pretty nice, at least for the larger, pricier, over-the-ear models. 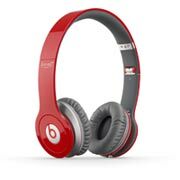 Beats by Dr. Dre Executive headphones topped their ratings for that headphone type, and Beats Studio headphones actually did better on tests than headphones that cost more. If you aren’t so much into bass and what you’re looking for are earbuds or compact headphones, then Beats are probably not the choice for you. There are other headphones at those price points that will look almost as cool and cost a lot less.